You might find this text “spiritual” but I’d like to make it clear that my teachings are Physical, only. To better appreciate how ‘things’ have evolved, allow me to introduce Fanny; I have worked in commercial gyms since 2010 as a “Personal Trainer”. When I put my 75L hiking bag on my back on the 13th of August 2013 and jumped on a flight in Copenhagen to Cairns, Australia I never came back to live, in Scandinavia. During my travels I met my husband Luke and now I live down under, far away from where I was born. As I booked my flight to this land on the other side of this earth I was open for ‘things’ to happen- I had for a long time felt that I was born to speak and teach in English and be somewhere warm, hence Sydney is where I’ve settled. I was offered many jobs and opportunities that were very much in-line with my current dreams; in America, Sweden, Norway and in different places in Australia, but I kept declining the offers. It didn’t feel right. When Luke came into my life I was surprised by how his presence affected me to the point of me declining an offer that at the time was my ultimate dream job, to go back to be with him in Sydney. But, it ‘felt’ right. Listening to my intuition throughout my life has lead me to the place I’m at today; Working with something I call in two words- Mobility Training. The Mobility Training-logo was in the making for over 6 months and now it is here, in full form and meaning. Many Thanks to Zeinab and Faezeh for their expertise, patience and support in this process. I work with the Physical body of the human. I guide my students to feel, listen and learn what their body is doing and where it can go. 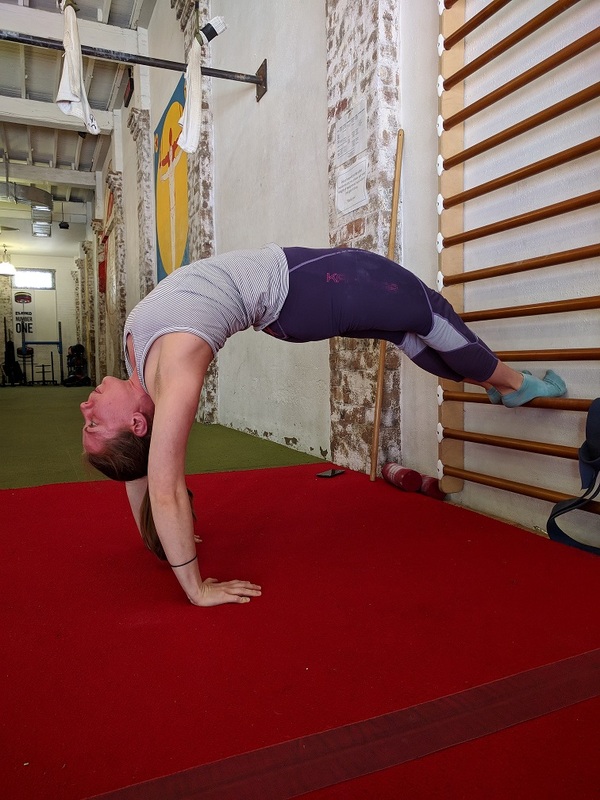 This body awareness-skill is essential and will inevitably lead to changes in the intellectual and emotional body, this is cool- but again; not something we strive for at Mobility Training, it just happens.